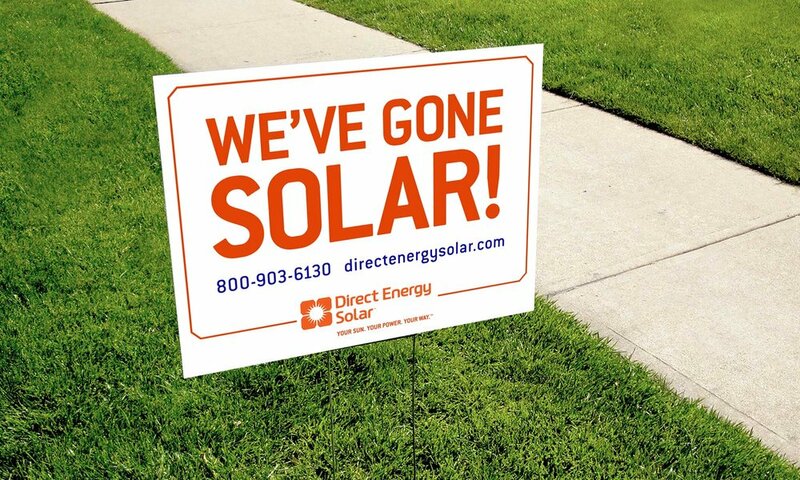 In the 3rd quarter of 2014, Houston-based Direct Energy bought Astrum Solar to break into the residential solar market. I was hired as the lead designer to work along with the brand manager and rebrand all internal and customer-facing materials. As lead designer my responsibilities included: print and web advertisements, company branding materials, sales flyers, information graphics, PowerPoint presentations, logos, posters, postcards, brochures, emails, e-books, direct mail, landing pages, booth displays and banners. Trade show banner ups and trifold brochure. Directed photo shoot showcasing new company branded clothing. New company logo and color palette. Illustrations for "How Solar Works"
Direct mail flyer. Referral program welcome kit.